Danger! This is your mind highlighting the harm that is coming your way. This talk will not turn out well… Don’t we all have such thoughts before a difficult conversation? We sense that the outcome really could hurt us in a way that makes us feel that the future is dark and uncertain. If you or your business are facing this kind of situation, maybe we can help. 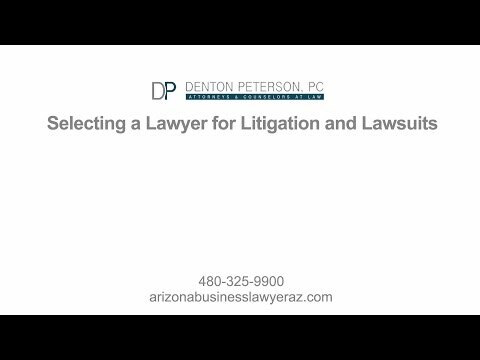 Our attorneys at Denton Peterson, PC are skilled at guiding you through the complexity of a brewing conflict. 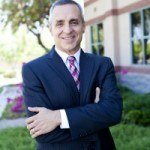 Our Mesa Arizona firm practices in several areas of the law including: business, franchising, employment, real estate, and collections law. We have extensive experience with emotionally intense discussions surrounding these practice areas. The purpose of this article is to highlight tools we use to help our clients navigate legal negotiations. We certainly have more rules of thumb than these, but the following are ways we use to help our clients resolve a conflict. True conflicts in which you feel threatened financially, physically, or otherwise are some of life’s hardest spots to be in. You are probably reaching out because the outcome may be damaging. Luckily for you, attorneys advise clients on outcomes. These rules of thumb are used to help you gain greater certainty during a legal negotiation. Listening is the basis of the other rules of thumb. In graduate school, mediators in training (professional neutrals who assist in negotiating through conflict), are taught the importance of active listening. The purpose of active listening is not to parrot back what people are saying. The purpose is to recognize when people stop listening and intervene before the discussion turns into a full blown fight. Even when the discussion has turned into an oral brawl, listening is still important to spot real issues. Listening requires focus, patience, and curiosity. Being able to listen while someone else tells you things that you do not want to hear is crucially important. If you are truly listening, you can begin to spot the difference between what people say and what they mean. Watching body language also gives cues as to how to approach issues. When you are focused on the discussion, body language, and tone of the dialogue you are better able to react to information that shifts the dynamics of the negotiation. As parties try to understand one another’s perspective, it becomes clearer how to create possible solutions to the issues that brought the parties into conflict. The hard part is that neither side can force the other to listen. Many conflicts are escalated because there are communication barriers and both sides infer bad intent from the other. It is important to remember that a legal negotiation is an opportunity to talk about the issues with legal professionals who will help you understand possible outcomes. Mindfulness is nonjudgmental awareness of one’s own feelings, frustrations, and expectations. Mindfulness is used to gain recognition about the role emotions play in making decisions and guiding behavior. The best negotiators are empathetic to themselves and to others. This ability to understand oneself and your triggers allows you to be authentic. By being in tune with your emotions you are less likely to be controlled by them. Being able to create objective space in your mind where you recognize the different emotions that are coming through without forming attachments to them takes time and practice. Mindfulness is a way of coping with stress. Legal negotiations are stress inducing. Before a difficult negotiation, it is good to take time to become centered. By being mindful, your listening skills are enhanced. The best benefit of mindfulness is that you have emotional space to evaluate the strengths and weaknesses of a party’s perspective. Mindfulness is a skill that prevents getting pulled into the vortex of the fight or flight response. Another benefit is that you are more likely to spot when emotions are being manipulated or exploited. Call the party on it when you see this happening or leave the negotiation. Interests are wants, wishes, needs, and concerns. Good negotiators know how to find these interests and use them to expand the bargaining in creating a wise resolution. There is more than one way to come up with a solution to satisfy these interests. Additionally, interests are the reasons that motivate people to negotiate. For a dispute to end, each side must feel that their interests have been adequately addressed. The irony of difficult negotiations is that often people do not know what they want until they are in the midst of the negotiation. This means that what people want is a changing variable based upon their expectations. People do not open up to talking about their interests without considerable effort. There are two reasons for asking questions in resolving conflict. The first is to establish trust. The other reason is to access interests. Good negotiators know how to ask the right questions to help shift perspectives. Additionally, good negotiators know how to create movement from positions to interests. They do this through wise questioning. This takes patience and professional judgment. Carefully prepared questions can become a negotiator’s best asset. Preparing for a negotiation is key to asking the right questions at the right time. Preparation is one of the best signals a party can send the other side that they are ready to communicate. The right time to ask questions is after trust has been established by the parties. Being respectful with questions is also a good strategy. The goal should not be to shame the other side through cross examination and pointing out inconsistencies. Certainly there will be disagreements about perspectives. You can also expect factual differences in how each side tells its story. Our attorneys will help you make decisions on what to do with differing stories and facts. People can feel the difference between being asked hard questions because the situation calls for asking them in an attempt to resolve the conflict, and using hard questions to attack the foundation of their positions. During the entire negotiation, both sides will be continually checking on the intent of one another. Trust can always be lost. Even when trust is not established our attorneys know how to draft agreements to protect your interests. Conflict often is a breakdown of communication. It is a good use of time to figure out when, how, and why the communication started to be distorted. Good negotiators take ownership of the environment of the negotiation by listening in such a way that the other side feels safe to open up about the sources of the communication barriers. Think of time as a resource. Pay attention to who is dominating the negotiation. One of the biggest frustrations can occur when one person is doing all the communicating and other parties have no chance to add to the discussion. Controlling the negotiation is a tactic that many try in some vain belief that if they fill all of the air time, then they will get what they want. What happens instead is that they get confronted by an attorney who knows how to silence verbosity. The consequence of this kind of behavior is that one’s reputation is tarnished because the party is seen as being manipulative. Once a party has been labeled as manipulative, it is very hard to un-ring that bell. Set boundaries for how long the discussions will last. Otherwise, the timing of the discussions will be ambiguous. The parties may use the talks to financially drain one another. This does not mean that you set unrealistic expectations for how long the discussions will be. It does take time to establish relationships of trust good enough to discuss hard issues. Each conflict is different in terms of how long it takes to get to a place of offers and concessions. Our attorneys can help set up a negotiation timeline tailored to the need of the situation you are in. Good negotiators know how to communicate what they want without the other side storming out. The other side is not going to storm out if you are being authentic. Mindfulness leads to authenticity. At its heart is honesty. There is much more to a legal negotiation than who gets what and how much (the distributive issues). The zero-sum mindset is to be resisted. Many people come to a legal negotiation expecting to be deceived. If you create a belief in someone else that varies from how you understand the situation, then you are misleading your audience. One of the roles that attorneys play, is protecting clients from deception. Attorneys are trying to establish candor among the parties to a negotiation. If candor cannot be established, then litigation may be the only solution. When people are authentic they are more likely to be persuasive. Being honest about how you understand the conflict is critical. Both sides are going to understand the key parts of the conflict differently. Honesty assists in bridging the gaps. Also discussing how each party has contributed to the increasing difficulty of a conflict leads to rich dialogue. Authenticity also is opening up and telling the other side what you truly want out of the dispute. The negotiation cannot get to the resolution phase without parties describing what resolution looks like to them. Good negotiators ask about the authority their counterpart has in a negotiation. This is not fishing for the other side’s reservation point. Both sides are going to be asking questions to try and figure out whether going forward with resolving the conflict makes sense. This is about making sure that the persons at the table can bind the parties themselves or their organizations. Sometimes one side to a negotiation will agree to some terms and then back out after double checking with people higher up in an organization. This kind of strategy is deceptive and allows one side to take multiple bites at the apple. This attempt at recapturing terms of a negotiated agreement often leads to no agreement. To confront issues is to face them and not avoid them. Conflict feels like you are getting pulled into a situation that is out of your control and that this situation is going to harm you. Our attorneys use collaborative problem solving negotiation styles to assist clients in resolving the dispute. We train our clients in collaborative negotiation styles. Many people resist hard issues because they feel that someone else will exploit them. Collaborative negotiation uses ethics to protect people from exploitation. In each negotiation there are tensions that need to be managed. These are the tension between creating and distributing value (what is part of the deal and what is not), the tension between empathy and assertion, and the principal agent tension (legal relationship between client and attorney). We discuss and create a negotiation plan based upon managing these tensions. Doing this helps the parties confront and face the issues of the conflict. We give our clients professional advice so that our clients can make informed decisions. The hallmark of conflict is the uncertainty it brings to your life. You deal with uncertainty by seeking professional counsel. Our attorneys work with our clients to help them understand how the law interacts with their situation. We have many years of experience negotiating and litigating all kinds of business, real estate, probate, and employment conflicts. These years of experience make us experts in these practice areas. We know how to negotiate to minimize uncertainties that are a necessary part of conflict. As attorneys, we thrive on educating our clients on the risks and benefits of different courses of action in conflict resolution. The better the negotiation, the better each party understands the possible outcomes and the impact of resolution. Our attorneys regularly draft settlement agreements in collaboration with opposing counsel at the conclusion of negotiation, mediation or other dispute resolution process. When you have used the previous nine rules of thumb and the parties are unable to get closer to a resolution, then the signals you are receiving indicate that the conflict needs to be brought before the court. These rules of thumb are meant to smoke out hard bargainers. Hard bargainers lie, cheat, and steal to get what they want. However, you should not label someone a hard bargainer until you have exhausted the nine rules. Some individuals start off negotiations in a harder bargaining style but give way to reason when it is presented to them. Litigation is designed to dash the expectations of hard bargainers. These 10 rules of thumb can be used to help people negotiate through conflict. If you have any questions about how we use these rules of thumb, please contact our firm. Our Mesa litigation attorneys know how to use these rules to resolve conflict.